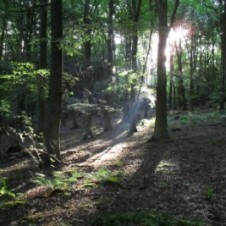 King’s Wood is 2 square miles of mixed conifer and broadleaf forest. To quote the Friend’s of King’s Wood brochure. It is crisscrossed with paths, paths made by walkers, paths made by deer and tracks made by foresters. There is a small forestry operation behind my studio, making garden fencing out of the Sweet Chestnut coppice poles ready to harvest, which is about 20 years rotation. 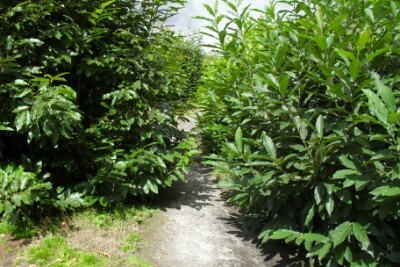 Coppicing stands in various stages of growth are the main feature to meet the eye of the newcomer, like me. 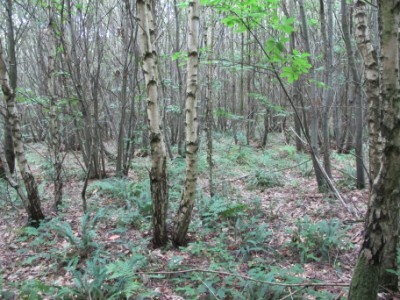 I find the coppice areas unsettling, today I thought that its because all the growth in them is in a process of great upward surging. In the older areas of forest things have settled down a bit, its more restful. Maybe this sits more easily with my own stage in life ! 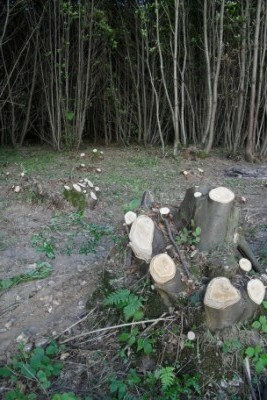 Sweet Chestnut regrowing from coppice stools, about 3 years old. 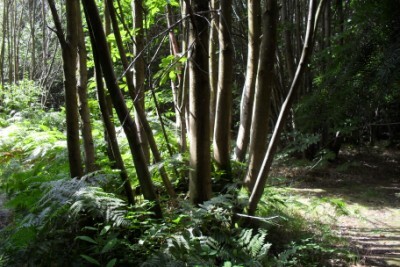 Next post – walking in the Wood.